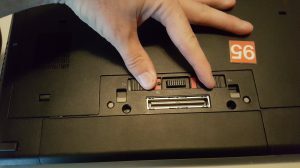 This is the 5 minute fix that may help you get your computer to turn on if it does not. 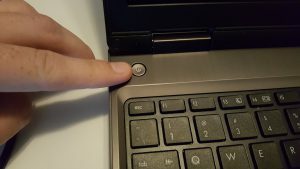 Typically laptops have this issue where for some reason or another, the laptop will not turn on after pressing or pressing and holding the “power button”. I recently came across an old story that I haven’t heard in quite some time but is completely relevant to this problem. 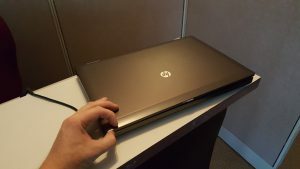 At our office, we will have clients stop in with their laptop and we will have it running in a mere 5 minutes or less because of this solution. So if your laptop is giving you this issue, please take the time to attempt this and save some time and money. Instructions are below this wonderful short story. 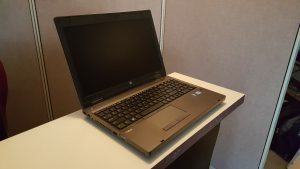 Laptop will not turn on – The 5 minute fix. 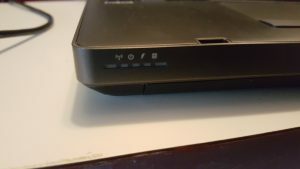 To get our computer back up and running we need to “clear” the electricity or the residual charges from the laptop motherboard. There is probably a better way to explain that but this article is to provide a solution, not the “why” this happens. First let’s remove the power supply. Take the power cord out of the laptop so that no charge is going to it. 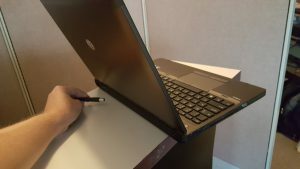 Close the lid or screen of the laptop so that you may safely turn it over to expose the underside of it. Remove the battery of the laptop. Some batteries are under the case, inside the laptop, or in much more inconvenient places. If it’s difficult to remove them or you are not comfortable doing so, please fill out a service request and we can help you. Click here to submit a service request. 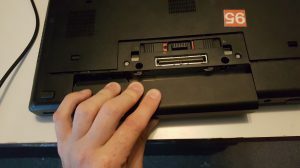 Once the battery is removed, there should be no power going to the laptop. Turn the laptop back to the normal position leaving the battery out and open the screen or lid. Plug the power supply back into the laptop. DO NOT put the battery back in yet. Press the “Power” button and ta-da! Your computer should start up normally. Once powered on and logged in, shut down the laptop normally using the Windows button in the bottom left hand corner. Then remove the power supply, flip the laptop over again and re-insert the battery. You can now plug in your power supply again and turn the computer back on. If the solution above did not revive your computer, you can attempt it again but don’t do it more than 2 to 3 times. After 3 it then becomes a waste of your time and this probably isn’t the problem. There could be other issues at hand such as a bad power supply, a failed motherboard, or any other number of other issues. At this point, please contact us for a free consult and quote and reference that you read this article and tried this technique. Thank you for reading and let us know if this worked for you!